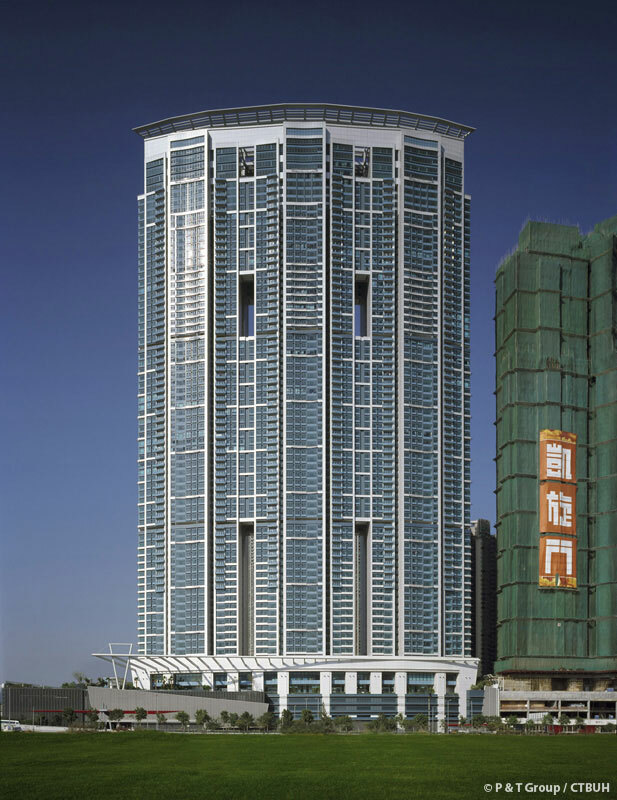 The Harbourside was constructed as one phase of the Union Square complex, a large transit-oriented development placed atop Kowloon Station which serves a rail line linking Hong Kong Island to the airport. 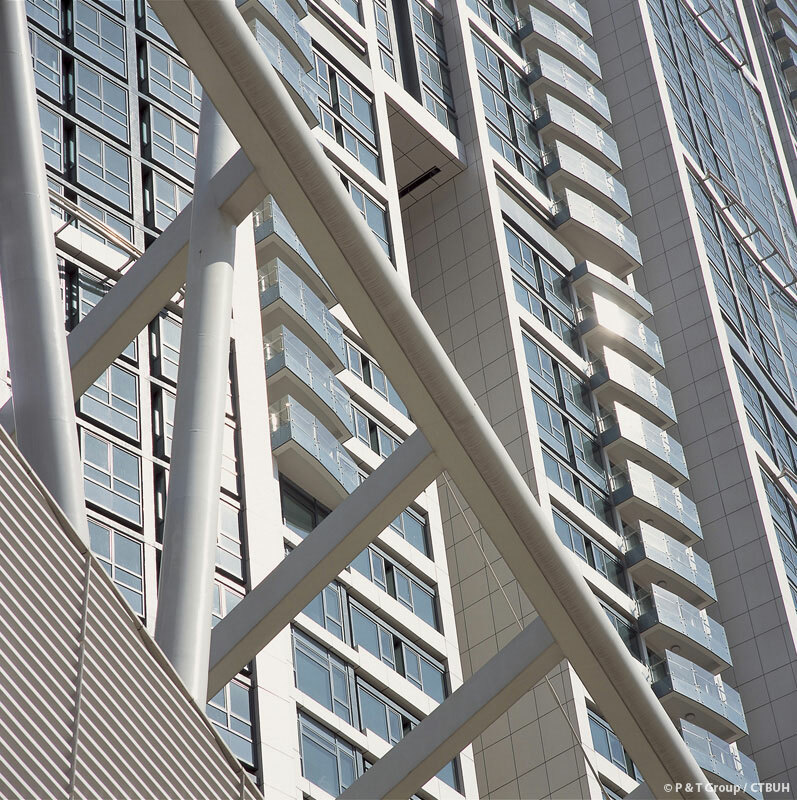 Union Square was designed as multiple towers interlinked through a large podium structure containing parking, shopping and transportation facilities all covered with an internal roadway network and a series of green spaces spread across the podium roof. 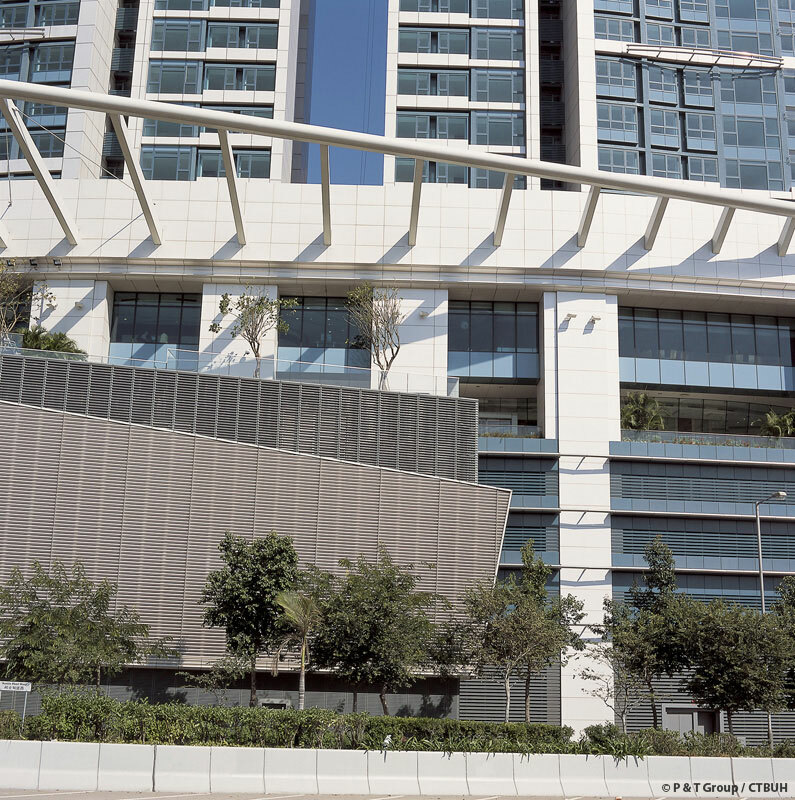 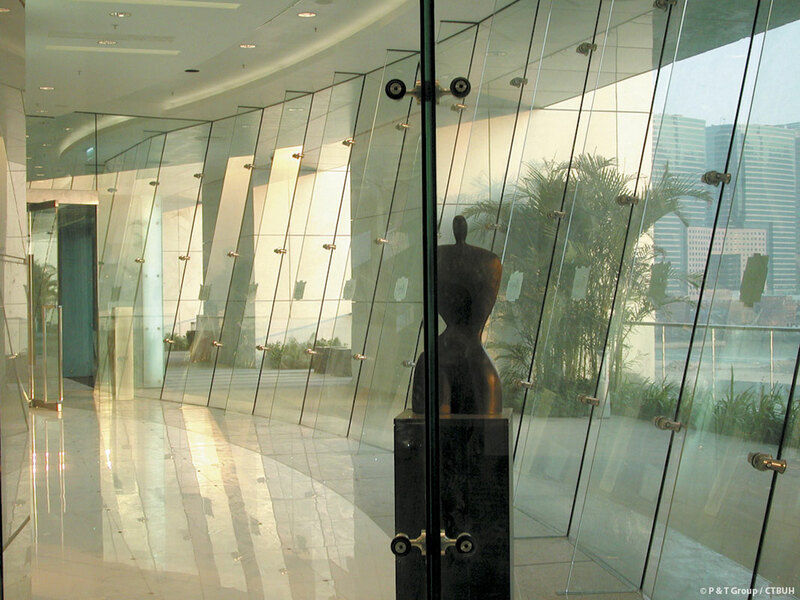 The towers of the complex then rise from the perimeter of the site and feature unique façade designs for the portions of the podium within each tower footprint that creates a street edge. 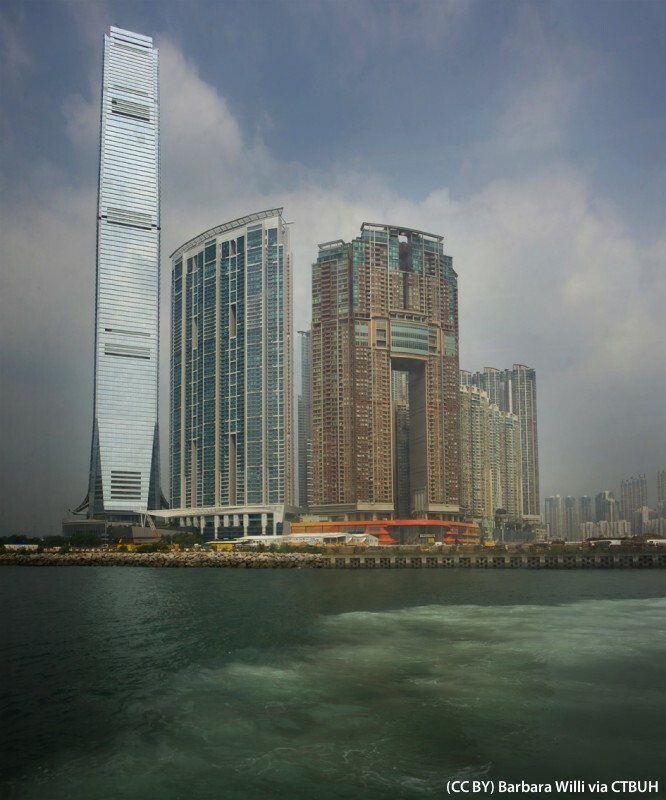 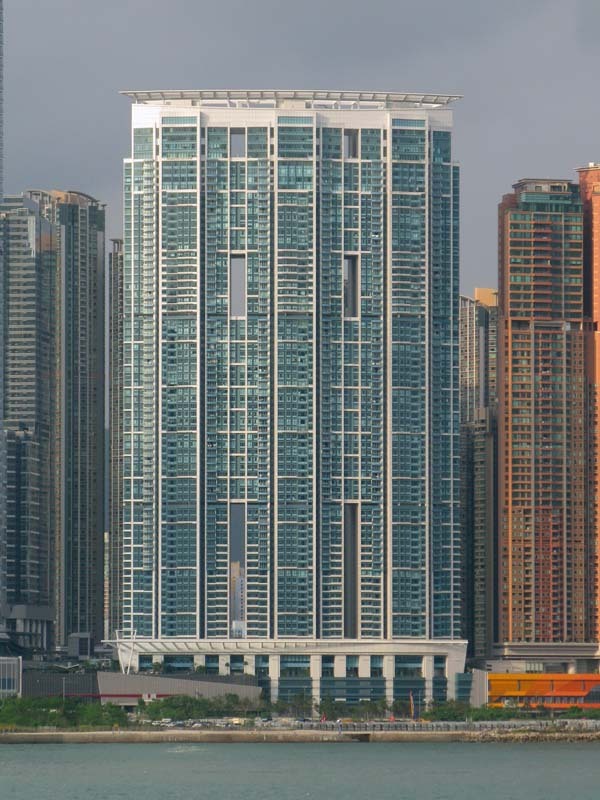 The Harbourside was built at the south end of the complex, facing towards Victoria Harbour with a bowed shape as it rises from the podium levels. 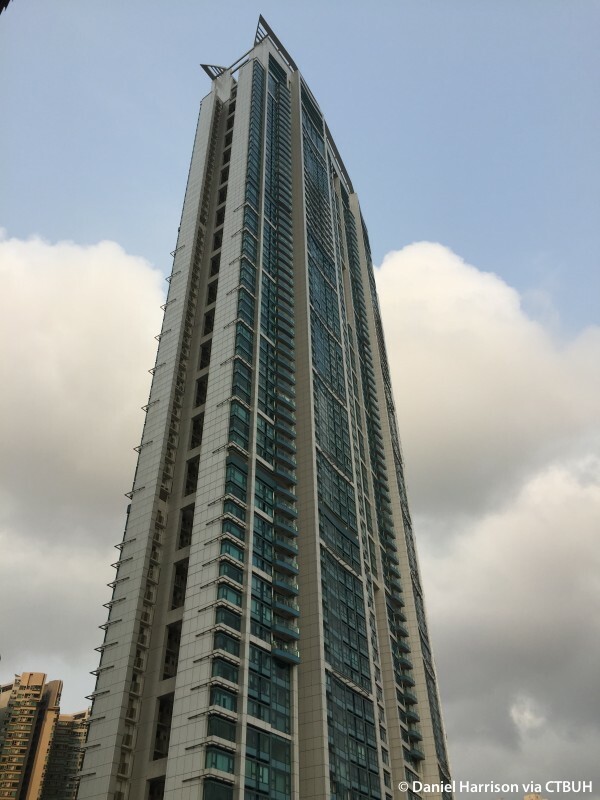 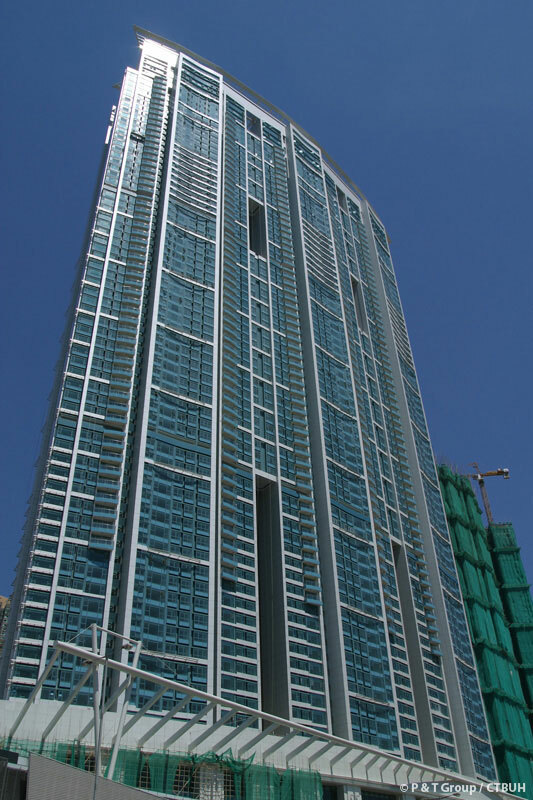 The structure had four large voids incorporated into the design in order to reduce the wind loading on the structure, while providing visual reinforcement of where the building is internally split into three individual residential towers. 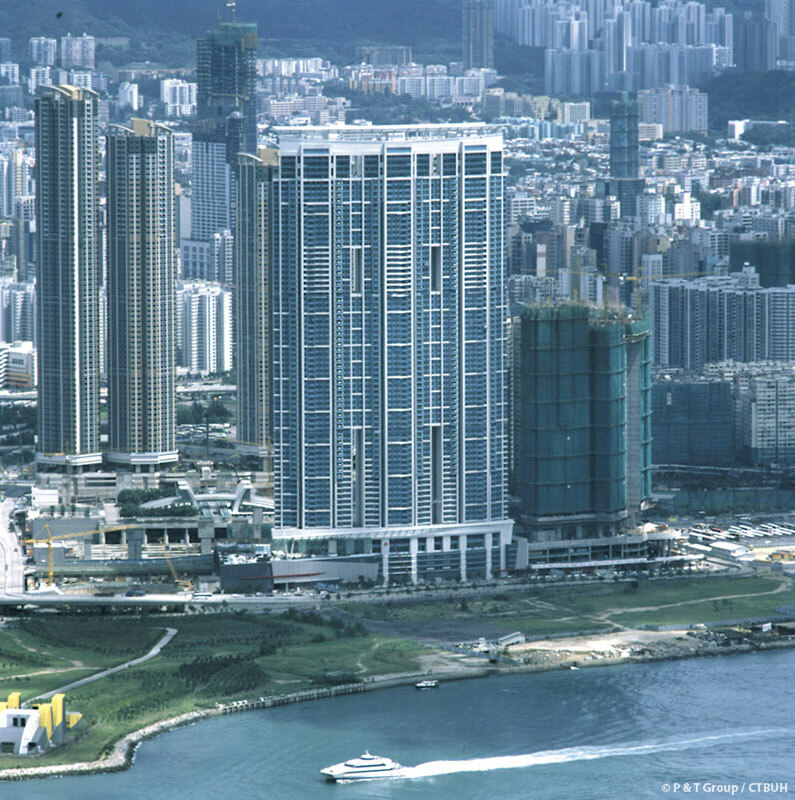 The entire complex was built on air rights above the railway station on land reclaimed from Victoria Harbour. 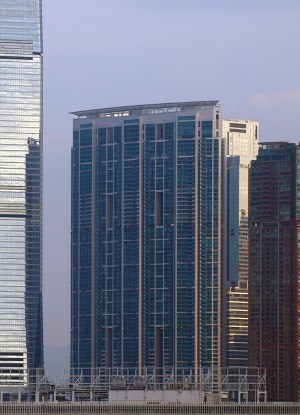 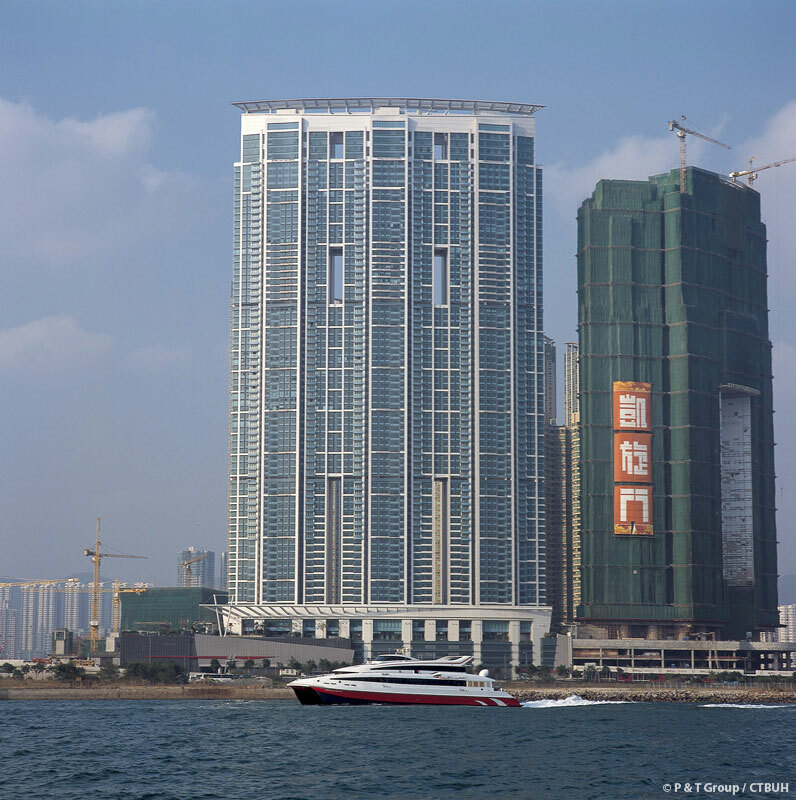 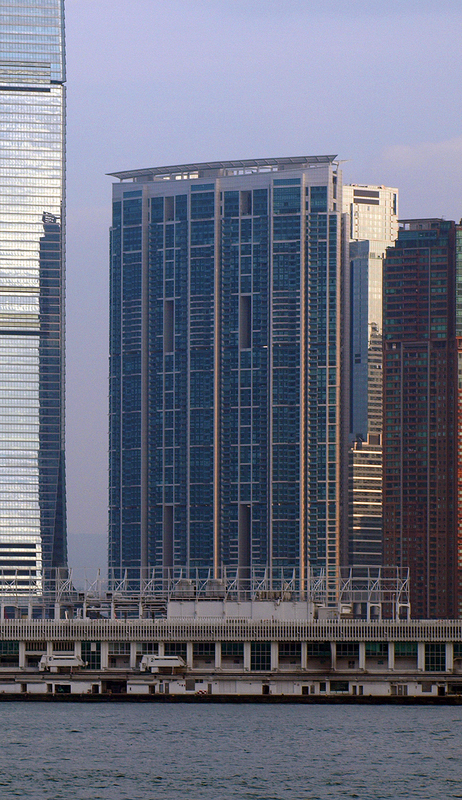 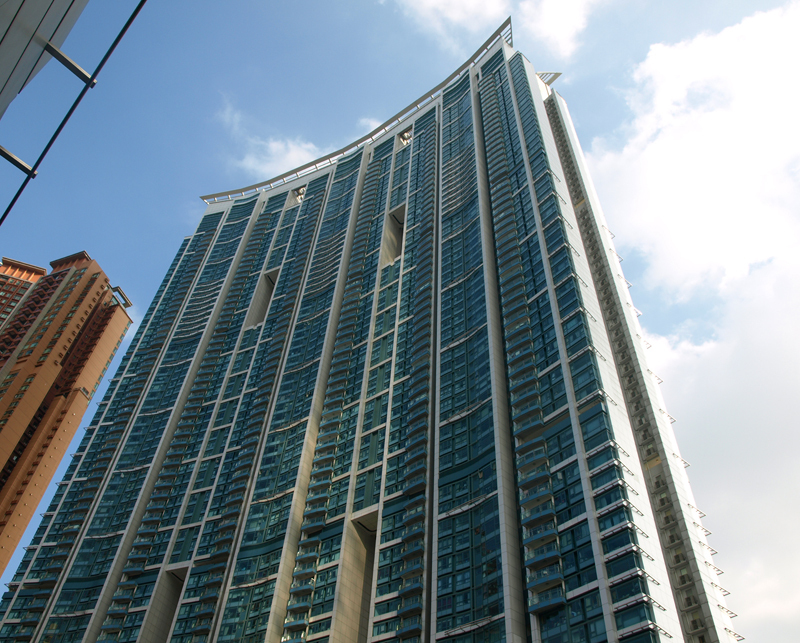 With water and public green spaces surrounding Union Square on two sides, The Harbourside as well as the neighboring towers have since become very prominent fixtures on the Hong Kong skyline.